The entire Tamil film industry is currently very much distressed about the sudden death of the student named Anitha. She has recently committed suicide as she failed to get a seat in NEET examination. This has pushed everyone into a deep distress. Already, many students have begun protests over the same. Many common people and celebrities especially the film personalities have responded on this and sent their condolences to Anitha’s family. 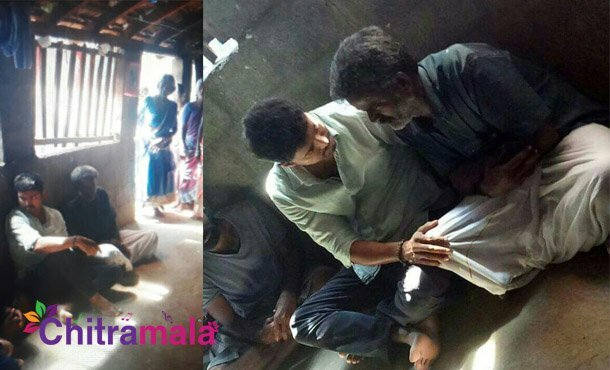 The latest update is that Ilayathalapathy Vijay has gone to Anitha’s home and met the family members. Vijay has spent some quality time with the family members of Anitha and filled confidence in them. The photos of his visit to Anitha’s home are going viral on the social media right now.